Does your pet need dental care in the Antioch, Tennessee Area? Pets need routine professional and home dental care. Cavities (dental caries) are not common in dogs and cats – but, periodontal disease is a frequent problem. Periodontal refers to the gum tissue and bone around the teeth. Most older pets have periodontal disease. Your Antioch veterinarian can determine if pet dental care is needed. 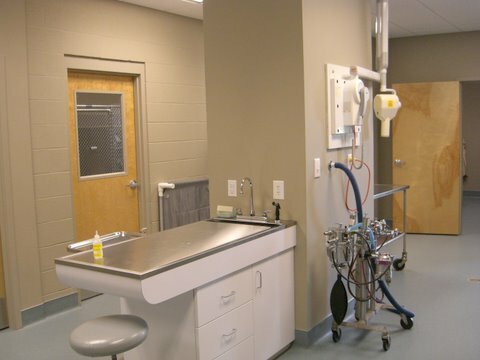 They can also do this pet dental care in our Antioch veterinary hospital. Bad breath is not a disease in itself. It is a symptom of an underlying problem. Often that underlying problem is periodontal disease. Left unchecked for dental health can lead to loss of teeth and infections throughout your pet’s body, furthermore, the harmful bacteria associated with dental produce toxins, which can damage your pet’s vital organs. Periodontal disease starts with plaque. Plaque is a combination of food, bacteria, bacteria by products and saliva. If plaque is not removed regularly, it builds up and becomes mineralized. Tartar (or calculus) is mineralize plaque. Tartar traps more food debris and bacteria. Bacteria release toxins and the gums become inflamed. The accumulation of pus, dying tissue, food debris and bacteria create a foul odor – usually the most noticeable symptom of periodontal disease. Without professional care, the process continues in the gums will recede, exposing teeth roots. Eventually the roots will loosen and the teeth will fall out. Prevention is ideal. Start early! A puppy or kitten can be easily taught to accept at home dental care. But, you can start at any age. Pets prone to calculus buildup may need professional teeth cleaning every 6 to 12 months. Other pets may require only every 3 to 4 years. Removal of tartar requires general anesthesia. Your Antioch veterinarian will scrape the plaque and tartar away from your pet’s teeth-above and below the gum line. Extracting loose teeth is also an important part of dental care in advanced periodontal disease. When tartar removal is complete, your Antioch vet will polish your pet’s teeth. If not smoothed out, rough surface can act as collecting site for future plaque and tartar.